Knitting and crochet are well known therapies for the agony caused by mental health problems. We shared a story from one of our LoveKnitting team members in our Facebook group, and you answered in your hundreds: here, we share some wise words and top tips to help you knit for wellness. This Stress Awareness Month, why not explore this collection of stress reducing knitting patterns! We can’t say that knitting cures all, but we DO know that it can help you feel a whole lot better. Earlier this year, we talked about the benefits of talking, and how knitting and crochet help to deal with anxiety and depression, from joining knitting groups to focusing on colour in the hope that people with mental health problems can live with dignity and not stigma. “My experience of university was very different to most. Although it wasn’t until my final year that my depression and eating disorder were diagnosed, the problems had been there for many years before. My boyfriend (now husband) and my best friend were amazing and tried their hardest to offer support but, for me, human interaction was almost impossible. I felt too tired to talk but I also desperately wanted to protect them. As my insomnia and other symptoms got worse though, I found a new love for knitting. I had taught myself to knit a year or so before arriving at uni – I wanted a new hobby and had been intrigued by knitting for a while. But, this time it was more than just a hobby. It was almost a kind of therapy for me. In the repetitive motion, the softness of the yarn and the act of creating, there was some solace from my otherwise fairly unpredictable and destructive life. A lot of what I made was nothing special and has since been frogged or even binned. Some of the projects were made with our wedding in mind though and were great for keeping me focused on the future. In reality, who are what the items were for was almost unimportant. Knitting provides a way to divert the mind and keep positive when dark thoughts threaten to pull you down. 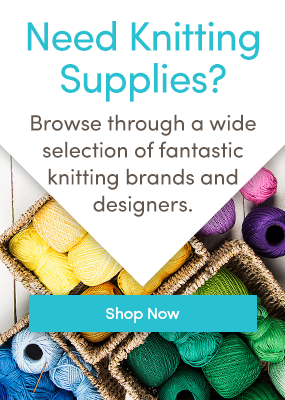 Stitchlinks is the home of “therapeutic knitting” and operates in three different ways: collecting stories and information to share amongst crafters in need of help, actively researching the health benefits of knitting and thirdly, providing information for groups, teachers and clinicians who are providing a service to offer therapeutic benefits of knitting. The Stitchlinks site is packed with helpful information – I particularly loved the 25 ways that knitting and stitching can help depression. Amongst the 25 ways listed, I was delighted to see “Teach forgotten skills” followed by “Teach forgotten emotions such as excitement and anticipation” and these are both immensely important. Sharing our knitting skills brings so much happiness, sharing the magical process of knitting – but to teach forgotten emotions? It actually made me stop in my tracks. As knitters, we are all excited by yarn – by colour, by texture, by pattern, by the huge pride we feel at the end of a project – and there is nothing quite like the excitement we feel at the thought of new yarn – to introduce that excitement to somebody is a gift indeed. Another meaningful point I loved, is that working on a project brings a future – a need to get up tomorrow to knit some more. It might be the soothing repetitive stitches, the feel of the yarn, or the great feeling of achievement to have knitted a couple of rows, but it’s something to focus on, and control. These gentle achievements may seem small to someone who is not suffering from mental health problems, but to someone in pain they are a lifeline. If you would like to share your story with us, we’d love to hear more in the comments section below – your inspirational words will help fellow knitters! With the endless benefits of knitting, we’ve put together some of our favorite stress reducing knitting patterns! Last updated: May 14th, 2018. I have knit on and off for many years. In more recent years when dealing with ageing parents and the traumas of dementia/stroke/major surgery, I once again found that knitting was a fantastic way to relax and give the brain time to sort out the various problems. My daughter has fybromyalgia and also suffers from a depressive disorder, she finds that cross stitch and embroidery have been a lifeline for her. I now love sitting with my granddaughter teaching her to knit and seeing the joy she has when she accomplishes a small project. Hi Jacqualine, isn’t it fantastic how craft helps us with such difficult situations? I would love to do cross stitch and embroidery but my hands are not quite up to it – I’m so glad your daughter finds such solace in such a gorgeous craft. What a fabulous grandma you are to patiently teach your granddaughter to knit – not only is it treasured time, but she’ll have those skills for life from you. Thank you so much for sharing your stories with us! Also, I would love to have a knitted brain like the one in the photo for this article. It looks really cool, and is anatomical without being gross. Hi The-L, that’s hilarious! Defarging! (For those of you who might not know, Madame Defarge is a character in Charles Dickens’ A Tale of Two Cities, famous for her knitting). I’m so glad to her that knitting helps with your anxiety – it’s a lovely way to feel calmer and produce something beautiful at the same time! We are full of admiration – well done you for turning your life around and making knitting your business as well as your craft! We love the fact that knitting, and knitting skills are so valued even in our modern world – it sounds as if your family and friends are very lucky to have you knitting for them too! I suffer with bipolar disorder, mainly low depressions though. I have been suffering most of my life and I’m only 24! One day I ordered some yarn and crochet hooks and they sat in a cupboard for months! One day when I was feeling very low I picked them up and started learning from tutorials on YouTube…mainly Bella Coco’s tutorials and I fell in love with crochet. I’m not saying its a fix it for mental health problems but I find that doing a bit of crochet every day helps me stabalise my mood and I can get through my day doing all the chores and other boring housewife stuff without breaking down. My problems are still there and they always will be but instead of succumbing to it, I’ve learned to accept that its the way I am through crochet. It gives me something to focus on other than my emotions. Its my meditation. Here’s what helps me. I joined a knitting and crocheting group. Some times I knit simple dish clothes. If I need help they with a pattern they help me and we’ve taught newbies. We’ve come to care for each other. Ours is in a library but try calling churches and get on the I internet. A group that knits for a charity can make you feel better. Try Raverly website. You’ll be surprised at all they offer. But,I, agree that keeping your hands busy helps. You’ve accomplished something and that feels great. I find crocheting the best way to relax and to put my thoughts and plans in order. I’m going through a stressful time at the moment and crochet is my ‘haven’ and quite possibly is preventing the onset of depression, anxiety. I have been bullied by my manager and have been off sick with mental health issues that this has caused. I find my knitting has really helped with my anxiety & depression. I learnt to knit when I was 5 (baby mittens) & have been knitting ever since. I learned to knit and crochet as a child, but really took it up as a daily activity in 2007 when I finally quit smoking after many failed attempts. I think the need to keep the yarn away from cigarette smoke, keeping my handsy busy and having something soothing to concentrate on really made the difference and has helped to keep me from relapsing. If you are ever feeling lonely, try knitting or crocheting in the park and you will soon have someone stopping to strike up a conversation with you. You wouldn’t believe my surprise at reading this blog. It is so true! I have so often said after a couple stressful days that I’ve got to take time to knit – it calms me. I hadn’t actually thought about the real relief one gets from spending some quiet time knitting. Thanks for verifying what I thought was only my feelings. Yep. I have ADHD, and I call my knitting my fidget toy (and no, that’s not a joke!) I am far more grounded and pay far more attention if I have some simple knitting in my hand. I lost my job of 25 years in January. My former employer did not handle it nicely and I’ve had a lot of emotional turmoil and dark days. I’ve said to myself many many times since then that knitting (and some super supportive friends) has saved me. I’m am suffering from a prolonged episode of depression with anxiety which has been exacerbated recently by the deaths of both my father and mother within 2 months of each other. Through the last few years of struggling to function I have from time to time been able to knit. I find it very therapeutic in reassuring me that I can get some focus and follow a simple pattern. Completing something is a rare but very positive experience. I like browsing the different yarns and imagining what can be created from them although I must now refrain from buying too much and feeling guilty. I like the idea of a knitting group and will have a look and see if I can find one. It is sometimes easier to talk to others while knitting as it feels less intense with less eye contact etc. I found dog walking to be equally therapeutic and have often said that my gorgeous black Labrador Oscar has been one of my best therapies. I’m having to manage without my walks at the moment as I am on crutches having injured my leg skiing. I was worried about how I would cope with this but this discussion has made me realise it is an opportunity to finish some of those knitting projects and start some new ones. I don’t knit all of my garments with my own yarn, but try to use what I have to knit something. I am a widow of 5 yrs, I’m on Prozac and knitting is my therapy. I admit I am addicted to it and can’t seem to put it down & don’t want to. If it weren’t for knitting I’d be in the lunny bin. Being a librarian, I tend to read all genre of books. Many years ago, I read a book about quilting and with each stitch, a prayer was offered. I find with knitting, the rhythm of it becomes a meditation and one with rewards. A finished project to share and bring happiness to another – that always brings happiness to me. I do not own anything that I’ve made – even if that was the original intention. I enjoy the peace of the process and the joy of giving. PS Knitting is the only activity that keeps me still and focus – Mindful as well as mindful of others. I learned to knit when I was 4 in the early 60’s. I would watch my grandmother and all her friends knitting bandages for the troops in the Vietnam War and asked her to teach me. I’ve been knitting ever since through all sorts of life changes and stresses – teen years, college, moving away from my family, raising a family of my own, etc. I can’t imagine stopping knitting until I stop breathing. On the subject of women knitting for wars, I doubt it’s useful any more with the prevalence of mass production, but in older books it’s a common occurrence. The people who stayed home (women, children and sometimes older men) knit socks and bandages for the soldiers as their way of helping out, but I suspect the knitting also helped them deal with the stress of their loved ones being in danger. Using the knitting as stress relief is particularly mentioned in Rilla of Ingleside, the final book on the Anne of Green Gables series. On the topic of Madame Defarge, another book I read portrayed British lady spies using knitting to send messages during the Napoleonic wars. I don’t know if that had any basis in fact. There is still a group “knit your bit” on facebook – knitting for the troops. Knitting has been a great stress-reliever for me and helps with my depression. For most of 2017, I was primary caregiver for my mother as she died from cancer. She always worried about being “a burden” and taking me away from my other responsibilities in life. But, if I was knitting while visiting with her, she would relax (because then I was also doing something for me) and we would have all the conversations that are so hard but so necessary when the end is near. I knit over a hundred mittens going thru a divorce. It went everywhere with me. I knit in church with tears streaming down my face. It kept me from flying to pieces. After a recent surgery, concentrating on a challenging pattern kept my mind so occupied that I literally needed no pain meds. I’ve never thought about all the psychological benefits of working and building with yarn, I just know it has saved my life…and kept me from killing others! I learned to knit when I was 8. In high school I started crocheting, and did this for a few years off and on. In 1994 I lost most of my vision. I was an avid crafter and was desperate for something I could do with low vision. I bought big crochet hooks and tried hard to get back to crocheting, but I just couldn’t do it. Then I remembered my knitting. I bought some needles and took a refresher course at a local yarn shop. I was so excited! Since I can “feel” my stitches, it is much easier for me to knit. After knitting gifts for family and friends, I now knit for charity, hooded cowls, mats for shelter animals, stuffed animals for children. Knitting saved my sanity in a very lonely time of my life. I refer to knitting as my brain injury therapy. I have knitted all my life (my mother taught me at her knee when I was 4, but she was left-handed so I had to pay close attention). I suffered through 2 concussions over the past 5 years. I had a lot of time off work to sit quietly and recover. I chose a very difficult Nora Gaughan cabled cardigan pattern from a Vogue knitting book and battled through it. I figured if I could complete that project then my brain was functioning better and there was hope for me yet. I was able to identify errors in the pattern and fix them too. Just today I finished another major and complex masterpiece from the Vogue book. It’s a patchwork combination of various shapes and patterns that once it is sewn together makes a stunning top. I’ve had to give up skiing (can’t afford another bang on my head), and have not yet returned to the tennis court, so my brain injury therapy knitting projects have been keeping me out of trouble and I have two gorgeous designer garments in my wardrobe. Brain healing nicely thank you – what’s next? I loved reading your blog and like me you are from Canada. Your knitting skills are far ahead of mine , I just stick to knitting cushions and cats. All the best in your total recovery. Keep on clicking ! For me knitting has been something I have always loved. But for me it is not always a stress reliever. I live with pain throughout my body 24/7 and depression and anxiety all the time. I get so disgusted, because I have not been able to do it like I would like to, because my concentration is not there and I do not find it relaxing, even if I am up all night because of lack of sleep. I have taught myself almost everything you can know. When I learned as a little girl I could just do the knit and purl stitch. Because of lack of use I cannot remember how to do knitting on four or more needles and I have so many patterns I would love to do. My passion is to make toys for children and clothes for children. I love children and because I never met someone to be married I never had the opportunity to have my own so no matter where I go I am talking to all of them and my smile makes them smile. So I keep trying and maybe some day I will be able to use all the patterns and yarn I have accumulated over the years and do the things I would like to do. I envy anyone who can do it with pain or depression because I have not been able to sit down and relax enough and be able to follow a pattern without getting totally disgusted. To all of you out there maybe I will again be able to join you again some day. I am humbled by the bravery and tenacity of all you wonderful women, telling your stories. You are also very good writers, which is another way of cleansing our minds. Thank you for having this web site where we can communicate our feelings and struggles globally through the Internet. Our stories are spun, creating threads of mutually understood womanly presence, which we knit together into our lives. Kia kaha, wahine toa. Stay strong, brave women, a Maori saying from Aotearoa New Zealand. I would also love a pattern for the “brain”. I learned to crochet at age 3 from my great aunt, sister to my grandmother. That winter I also lived with them while my parents were on tour — my father was a symphony and opera conductor then with Pierre Montour and the San Francisco Symphony Orchestra. Aunt Dot was crocheting a large tablecloth (which I inherited through my mother!) and I said it must be very hard to do. She said: no, dear. just make a loop and pull another loop through that loop. I made long long chains of loops. My mother taught me to knit at age 8. Though I love both types — knitting and crocheting — I remember both relatives with each stitch. I seem to spend time in recent years knitting as I like small stitches. I also spin, weave on floor looms and small looms, dye with natural dyes, rug hook, rug braid and more. I try for my best work. I I have just turned 78 this week and since I am now in a wheel chair and quite limited in getting around, my knitting goes everywhere with me. Now a widow of 5 years it gives me something to reach for and create: baby gifts for preemies for our local Hospital, gifts for friends and loved ones… but mostly it enhances my own existence. Thanks for giving your ideas. Something is that individuals have a selection between national student loan and a private student loan where it is easier to decide on student loan consolidation than in the federal education loan.